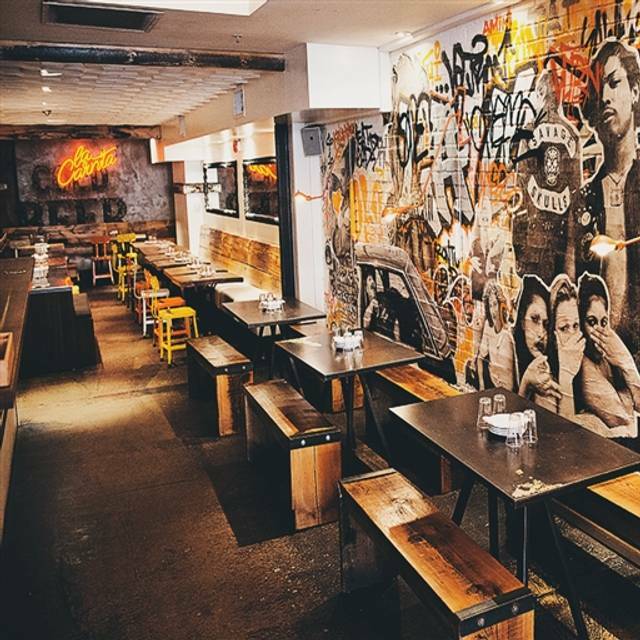 You must make reservations at least 5 minutes in advance of the time at La Carnita- College. 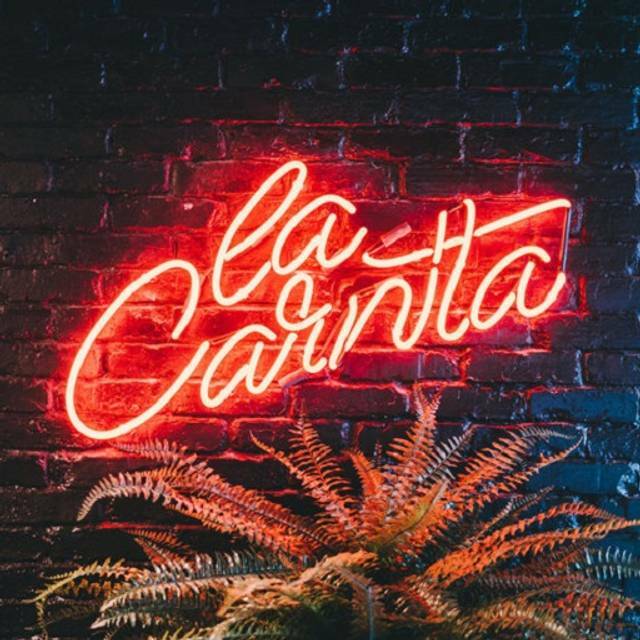 In the heart of Little Italy, we opened our very first “Westside” La Carnita. This location includes a small but sunny patio, spots to people watch from, and comfortable booths for groups. 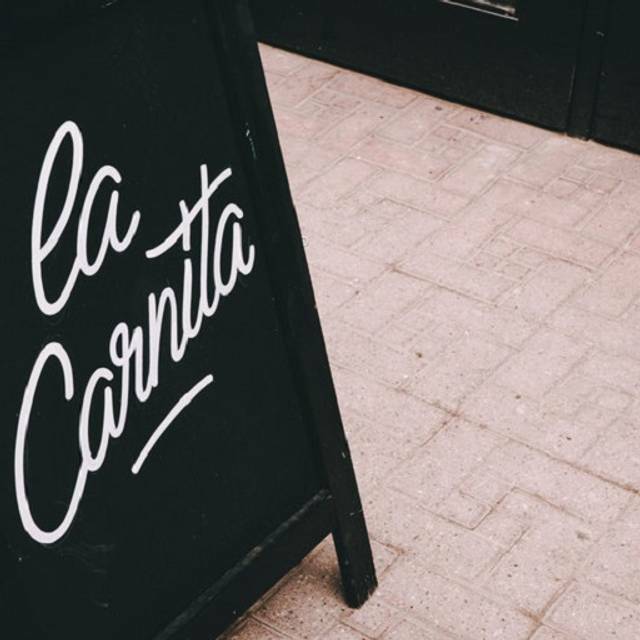 Though Little Italy is home to many great spots, from here La Carnita was able to quickly become a Toronto staple. 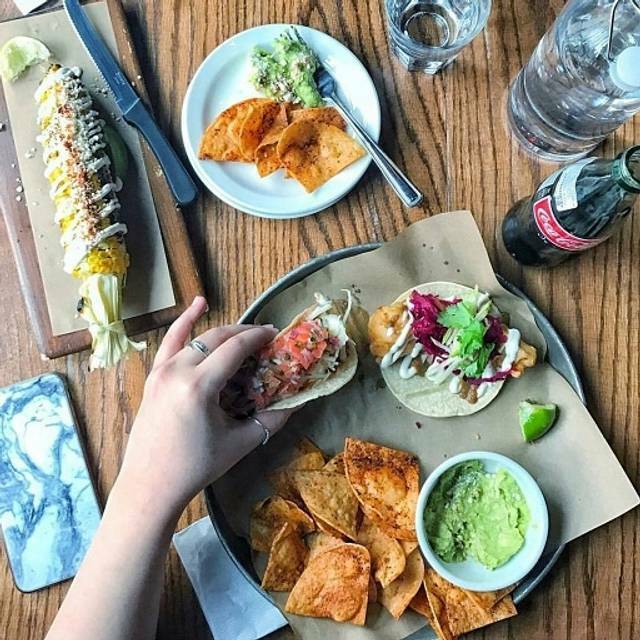 By offering an irresistible menu of delicious tacos, tostadas, and sharing plates, while creating a vibrant atmosphere over Westside has remained the place to be for the past 5 years. The staff at La Carnita College are the best. Always a great vibe and spot-on service. Food is fantastic as usual. I would recommend this place over and over again. 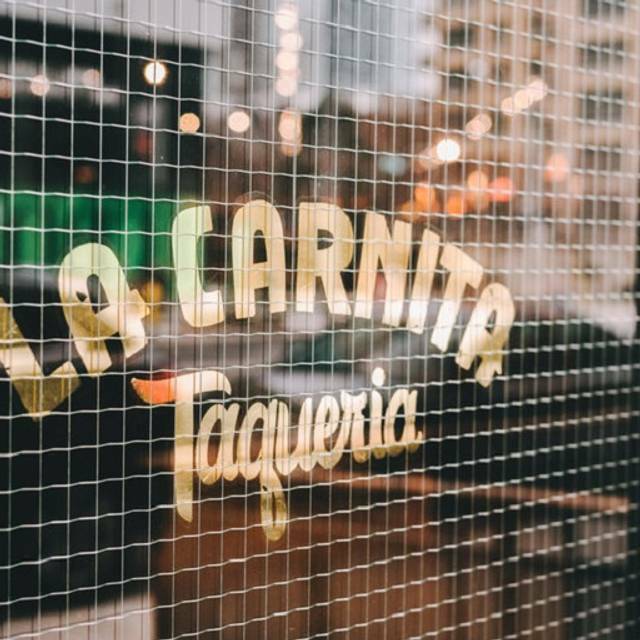 We usually go to a different La Carnita location - but there was no reservations available so we tried this College St location instead. 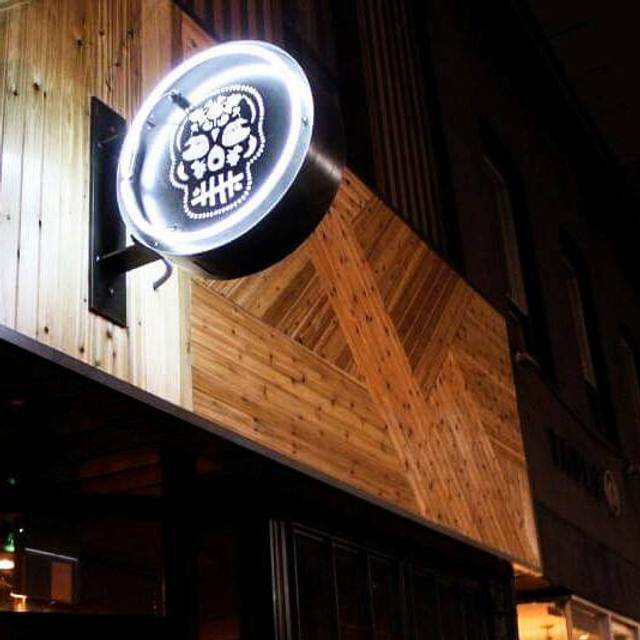 The food, service, ambiance was all great and I think this will be our new preferred La Carnita location to visit! Drinks took a while but other than that it was legit - the tacos were great and the server was friendly! Great spot to catch up with delicious food! Service was on point. great food! need a reservation well in advance, however. The service is very fast, but it's extremely loud (we were there on a Saturday night) and hard to have a conversation with the person beside you. A little expensive, given each taco is small and for $5 at least but it was worth trying out. Very delicious tacos! Went for a friends birthday, we were that annoying group that added two extra people with very little notice, and also were late despite changing our reservation to later anyways but the restaurant was super accommodating, moved us to an even better table and we had a great time. The service was good, we got a pitcher of Marg, Mojito and Sangria and they were all amazing. My only negative comment would be that the music could have been louder, definitely will be back, just later in the evening next time! Food was very good, the space is very nice, service was good. our only complaint was there was a fight going on about the volume of the music. We asked to have it turned down at least twice but someone would turn it back up again. It spoiled conversation. The only complaint would be that the tables are a little too close together. 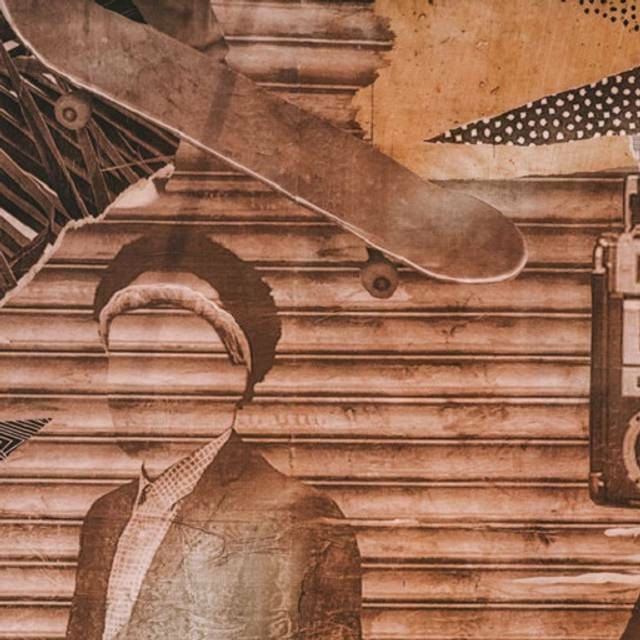 Although I didn't mind too much because I could care less about who's listening to my conversations. However if you're trying to have a more intimate date, not the place ma'am. Everyone was super sweet though and the food is AH MA ZING so I will DEFINITELY be back! I’ll definitely come back here! The food was great, the food service was very quick, the ambience was fun and the price was decent to. Go eat here! Went for dinner with my hubby. We had a great time food is 10/10!! Loved the atmosphere. It is load but that is what I was looking for. People taking to each other, Socializing, drinking and eating yummy food. I will definitely be going again. Prices are not relfected on food size and quality, its good but not to pay 6 dollars for a taco and 8 for a tostada. Would not recommend. Mediocre tacos and very average atmosphere. The server was extremely rude. She did not let my friend finish her orders. The music was too loud and we had difficulties hearing each other. We were yelling at each other by the time the food came. The temperature was set cold despite the fact it was -5 degrees out. Food is great, though they have increased the price. Great fun place to drinks 40’s listen to biggie and digg into some tasty Tacos. 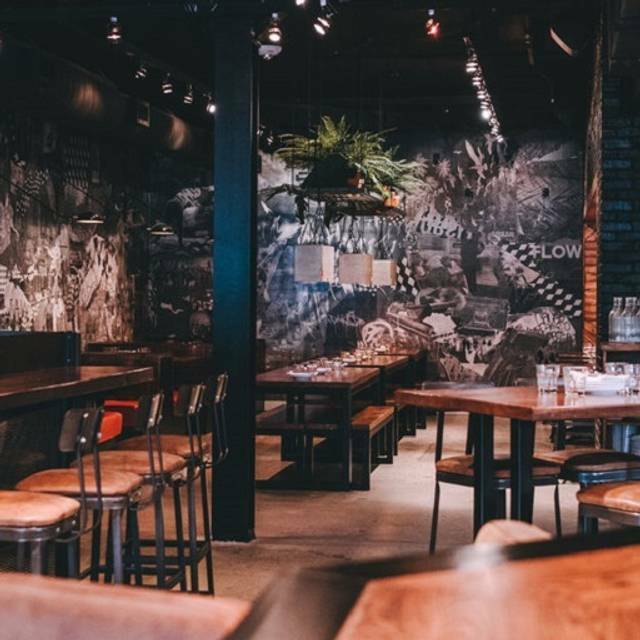 I booked this location for my birthday dinner with my boyfriend on Friday night. 1) they didn’t even acknowledge my birthday, even though I put it in the reservation for occasion and in the notes as well. 2) we got seated right next to the stairs and had to smell the bathroom scent the whole time during our dinner which wasn’t pleasant. 3) my tacos were just okay - which I was surprised with since it’s always so good and one of my favourite places. It was a bit of a let down for my birthday celebrations. Service was very poor - our water was never refilled. Had to wait for long periods of time to be served, get refills, and the bill. Metal seats are not comfortable, try to grab a table with more comfortable seats. Really great service and food... just super loud (not the restaurant’s fault). Would definitely come back again! I think this location has the best service out of the three in Toronto. We got sit next to the door so it was freezing cold. The service was extremely slow, we had to flag someone down to ask if we could order food. 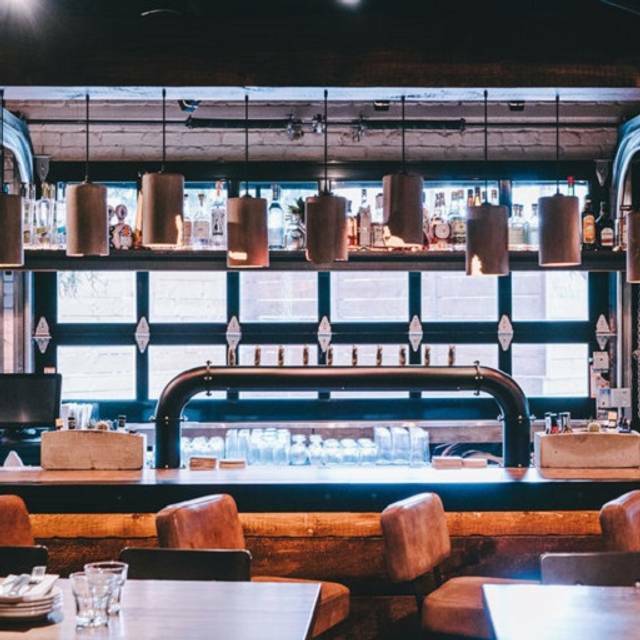 I’ve been to all LA Carnita’s plenty of times and this was easily my worst experience. Amazing tacos! And great beer selection! Had to wait for table despite reservation. Server was overworked due to bad scheduling, but she was working hard. Food was salty. The food was fantastic - we had the pollo fritto and cod tacos, as well as the tuna tostada. The room itself is funky and although it was loud, it was fairly easy to converse. The only issue was that our server was not personable, didn’t introduce himself or ask how we were doing, and really didn’t talk at all accept for take our orders and bring the bill. Overpriced, though the food was good. Really just a glamorized taqurilla, so the prices didn’t match the portions. The tacos are so authentic and the combination of ingredients are amazing! Love the food. Because the food is so good, it gets pretty busy so the service kind of lacks slightly but it’s totally understandable and when you are attended to, they are incredibly friendly and quick. The only downfall is the super loud music so you end up yelling across the table. But honestly, it’s all relative. The food is amazing, so that’s what matters ! Love this place! Super busy packed night! Waited about 15/20 mins for our table but the hostess was able to seat us next to friends who also had reservations that night which was great! Thanks for accommodating us! Food was delicious. Sangria a bit too sweet but yummy regardless. Will definitely be back! Very very loud, could not converse. Food was ordinary at the best. Overpriced for what you got. Overall I would not go again nor would I recommend. Food was delicious. Service is very disorganized, food is very overpriced and the music was too loud. Food was great and flavourful but REALLY spicy. Next time I'll ask them to tone down the spice. Restaurant was fun and very lively. The food is delicious. Everything else is awful. Plus, its really expensive. 6$ for one taco the size of my hand isnt a goor deal. Server didn’t introduce himself and was not engaging in asking if anything was needed. I honestly thought he was clearing tables not a server. Had to grab his attention for drinks and food. “I thought you guys just wanted drinks” was his response when I asked for a starter after a pitcher was ordered but he never asked so to assume something is poor service on his part. Music in the front of the restaurant/bar was too loud to have a conversation without borderline shouting but makes for good eavesdropping lol. I enjoy loud music but was hard to hear my partner and as we left around 10:20 the DJ began shouting over the music like DJ Clue. Second time at La Carnita but first at the college location (John St first time). Food was delicious and consistent with the John location and arrived quickly. Taco/tostada were all very tasty especially the Tuna and Cod. The food and service was fantastic but the music was so loud! Could hardly hear the person across from you.